Wilkesboro, NC -- MerleFest, presented by Lowe’s and slated for April 24-27, 2014, has announced the addition of “BanjoRama” – a one-time-only assembly of music’s top banjo players in performance together. The event, created specifically for MerleFest 2014, will be part of Friday’s Watson Stage schedule. MerleFest, a four-day event that is an annual homecoming of musicians and music fans, will once again take place on the campus of Wilkes Community College in Wilkesboro, North Carolina. Banjo player announced, "I thought I'd write a little note about the circumstances of my leaving The Clay Hess Band, since a good deal of my friends have been asking, and for some reason, people always seem to assume the worst." The change isn't due to anything wrong -- quite the contrary. 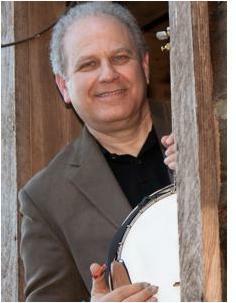 The band has announced on Facebook that Zach Gilmer has joined the Clay Hess Band on banjo. Pete Wernick announces the availability of two scholarships to his 2014 Advanced Banjo Camp, January 20-25 in Boulder, Colorado. The camp is geared to players in performing bands and focuses on tone, timing, “believability”, creativity, band dynamics, and performance. The scholarships are intended for pickers who would need financial help to attend the camp. The request usually goes something like this: "I'd like to watch you and Casey pick some songs just for fun. Think you'll ever do a DVD like that?". The answer is "Yes!" Murphy And Casey Play And Sing Bluegrass Songs For You. When Five-String Fest announced that they would be having one of the largest banjo gatherings in the country on May 1st -4th of 2014, they were informed that one of the best banjo academies was the same weekend. What started has an overlook in schedule has turned out to be the best thing that could have possibly happen. Five-String Fest was trying to find a perfect time to have their festival, and settled on the first week in May, hoping to keep some of the Merlefest attendees to stay an extra week in the North Carolina area. The conflict in schedule was brought to attention by Jack Hatfield, SMBA director, when he contacted John Lockaby, FSF Operations Director. The Five-String Fest was making plans on having workshops, so the contact turned out to be exactly what was needed for the FSF. The negotiations started between the two organizations and a plan has been set in place. Norwich, Norfolk, UK -- A special version of the British-made Shackleton banjo named after Edwardian explorer Sir Ernest Shackleton is to become the first banjo to be played at the South Pole. The specially designed ultra-light instrument, called the Shackleton E100, will be designed and built by The Great British Banjo Company. The banjo will be trekked 1800 miles across Antarctica starting in November next year by a team following the route planned for Sir Ernest Shackleton's Endurance expedition of 1914. Cybergrass covered the announcement of the Shackleton banjo in August. The Avett Brothers teamed up with Cheerwine, again this year to present the Legendary Giveback II, a one-night-only charity benefit concert at North Charleston Coliseum in South Carolina. This took place last Thursday night and I was honored to attend and present 2013’s Legendary Giveback II Deering Banjo! It was personally signed by The Avett Brothers the night of the concert and is now up for auction until November 25th. ArtistWorks Academy of Bluegrass has announced that five lucky winners will be welected to win a First Edition 2014 Banjo Calendar, which was created by one of Tony Trischka's banjo students, Rob Lardie. The Academy of Bluegrass is excited to promote this project since 2014 is the first year of Rob's official Banjo Calendar. Halloween: Did You Know that Banjos Kill Zombies? It's Halloween season and if you really need a killer item, consider a Zombie Banjo! Inspired by the movie “Zombieland” featuring Woody Harrelson whose character at one point uses a banjo to fight off Zombies, Greg Deering created the latest 5-string Goodtime banjo - the Zombie Killer Goodtime banjo. Launched at the 2013 Anaheim NAMM (National Association of Music Merchandisers) Trade Show, the Zombie Killer banjo was a hit with general attendees and dealers alike. With a “blood splatter” resonator finish and a “saw blade-edged” brilliant red flange made with a cut-out zombie-themed pattern to match the fingerboard inlays, the Zombie Killer will capture the attention of the audience without even strumming a note. Now, we just need some great zombie bluegrass music to go after. Read more about Halloween: Did You Know that Banjos Kill Zombies? Norfolk-based business The Great British Banjo Company has raised £43,000 on the crowd-funding website Kickstarter, to fund development of the first affordable British banjo for more than 60 years. The company, headed by brand expert and author Simon Middleton and award-winning company chairman Nigel Cushion, has attracted support from more than 200 enthusiasts all over the world, who have all pledged money to the project. Winfield, KS -- The 2013 Walnut Valley Festival is over. The flags and tents are coming down. Affectionately known as just "Winfield" by many of the annual attendees, this festival and the national music instrument finals are a highlight of the season. The various instrument competitions are finally over and the winners have been announced. Walnut Valley Festival offers attendees great entertainment and artists but, its probably the most famous for its various national and international instrument championships. Many of those competitions focus on the very instruments found in bluegrass music. Banjo, Flat Pick Guitar, Mandolin, Old-Time Fiddle and more attract musicians from around the globe to compete for the various awards. Raleigh, NC -- Banjo master Béla Fleck will perform his Concerto for Banjo and Symphony Orchestra with the North Carolina Symphony, led by Music Director Grant Llewellyn, in a special concert Tuesday, Sept. 24, at 7:30 p.m. in Meymandi Concert Hall in downtown Raleigh. The concert coincides with the International Bluegrass Music Association conference in Raleigh, which takes place Sept. 24-28. Earl Scruggs Center - Music & Stories from the American South is scheduled to open January 11th of next year in Shelby, North Carolina. Cleveland County is nestled in the rolling piedmont of the southwestern portion of North Carolina situated in the foothills of the beautiful Blue Ridge Mountains. 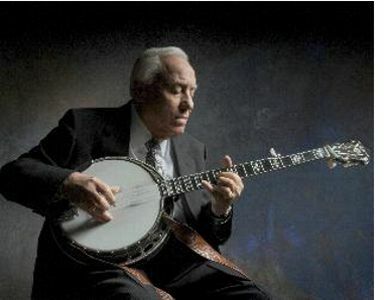 The Earl Scruggs Center will showcase the history, cultural traditions of the American South and the unique musical contributions of Earl Scruggs, the region’s most pre-eminent ambassador of music. Envisioned as a cornerstone for regional, cultural and economic development, the Center will serve as a cultural crossroads for visitors, students and residents. A couple of months ago, I heard of a new album coming out by Tom Neal titled Banjoland. I've learned over time that if a new and exciting release comes out and, it comes out on the Patuxent Music label, that it deserves a listen. This time, however, it became an addiction. I can't stop listening to this album. The variety of style, emotion and perfection. holds me. The Share America Foundation, Inc. announced its second 2013 scholarship winner recently at its Sacred Sounds Fridays concert at the Ringgold Depot in Ringgold, Ga. The events help fund the organization’s Pearl and Floyd Franks Scholarship. Pearl and Floyd Franks are the late parents and former entertainment managers of actor/entertainer Randall Franks, "Officer Randy Goode" from TV's "In the Heat of the Night." The scholarships honor students excelling in the Appalachian musical arts.